It’s good to have an entrepreneurial spirit, but not if it involves thievery. 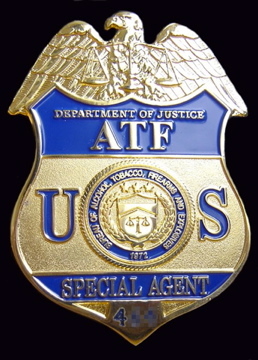 Timothy Nathan Todd, 41, of Huntington, W. Va. pleaded guilty this week in federal court to selling an ATF badge to an informant working for the local ATF task force last October, according to the Huntington News. He also admitted that he knew the badge had been stolen from the car of an ATF agent in Huntington, the paper reported. Posted: 1/25/12 at 10:14 PM under News Story.